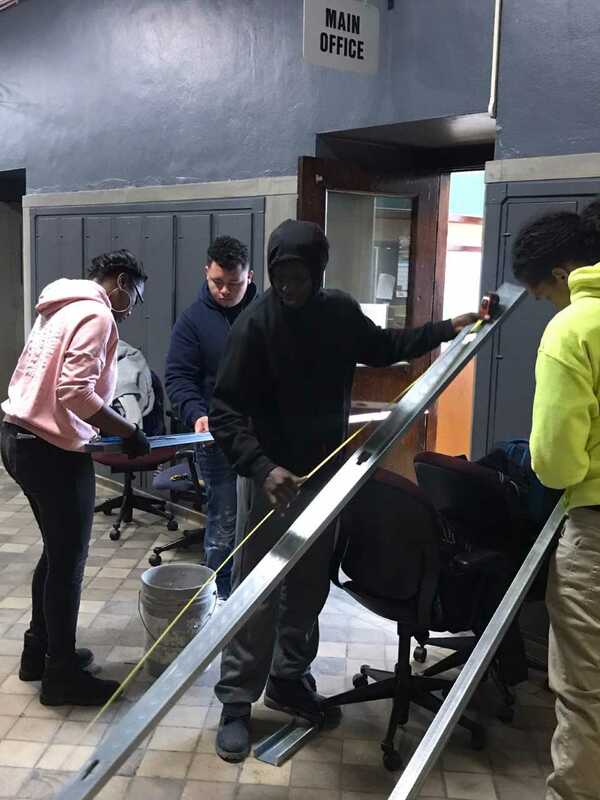 Randolph Career Technical Center construction trade students went to work at the former Durfee Elementary-Middle School building to repurpose the former building into a Community Innovation Center focused on education, entrepreneurship and community. Students learned how to install metal framing members and lay ceramic tile. They also had a chance to learn about aspects of project management with the help of Mr. Octavous Crosby from Barton Malow Construction Company. 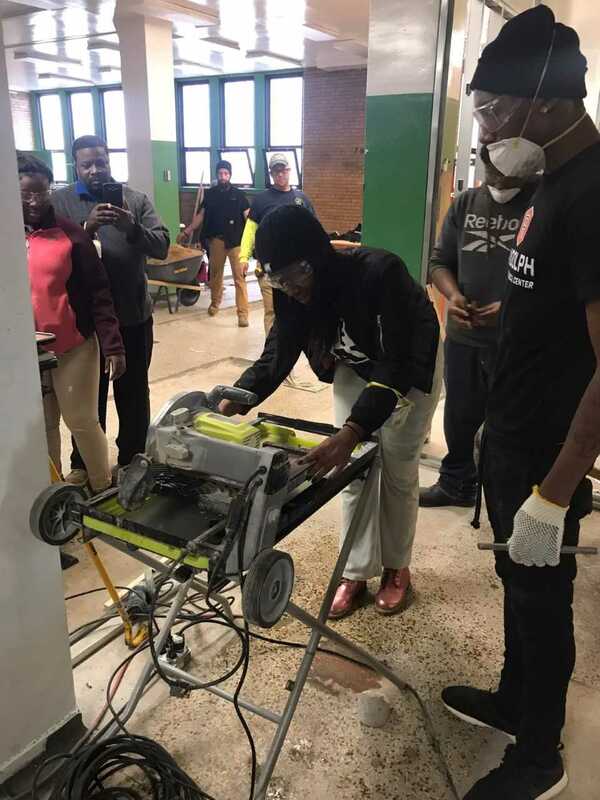 The students work was so impressive they were invited back to continue the rewarding work of building up the neighboring community.